The summer may be full of fun, but that shouldn’t get in the way of eye safety! From UV exposure to the swimming pool to sports participation, there are a lot of ways that children can injure or damage their eyes during the summer months and when they’re heading back to school. With a little bit of knowledge and preparation, you can help your children keep their vision safe and healthy all summer long! 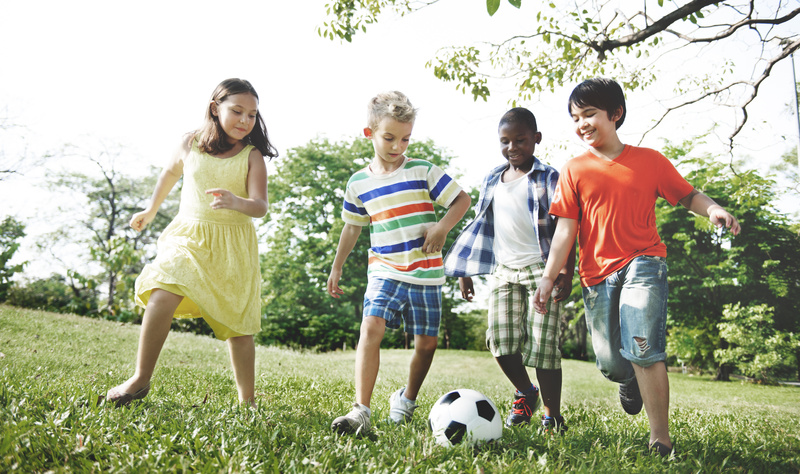 Before you send your children out to play, sunscreen application is a no-brainer. But are you taking the same precautions with their eyes as with their skin? Sunglasses: When you choose sunglasses for your child, make sure they block both UVA and UVB rays 100%. For smaller children, consider sunglasses with a strap so they won’t fall off or get lost. Sand: Beaches are a great summer location, but it’s hard to find one without sand. The thing about sand is that it gets everywhere, including your eyes. If your child has sand in their eyes, don’t let them rub: rubbing can damage the cornea. Instead, run some clean water over the eye to wash out any particles. Sunscreen: When sunscreen gets into eyes, it can cause irritation. Try to find a non-irritating sunscreen, especially for younger children inclined to rub their eyes. While not all sports are high-risk, many of them can still result in eye injuries. Eye protection is essential! Swimming: Chlorine is an eye irritant, and many pools are full of bacteria and other germs. Swimming goggles can help protect your child’s eyes. Baseball: Children playing baseball should wear a helmet with polycarbonate face shields to protect their eyes and faces from projectiles. Lacrosse: A helmet with full face protection and/or sports goggles can go a long way in protecting your child’s eyes from incoming balls. Racquet Sports: Again, goggles go a long way for protection from incoming projectiles. Regular lenses are not sufficient protection during sports. Ask your optometrist about the best eye protection options for your child. As children grow up, their vision changes drastically. If these changes go unchecked, they can lead to behavioral and attention issues in the classroom. Book a back-to-school eye exam at Texarkana Eye Associates before the school year starts to ensure that your child is starting the year off right! Visit us in store or call us at 903-838-0783 to book your appointment.